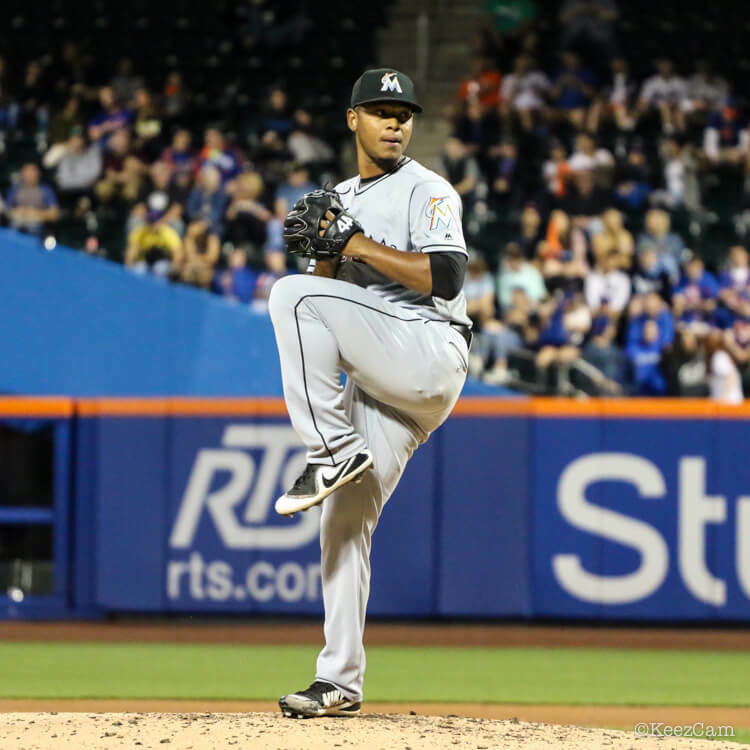 As a young player, you’ve probably come across someone using a 44 Pro glove. 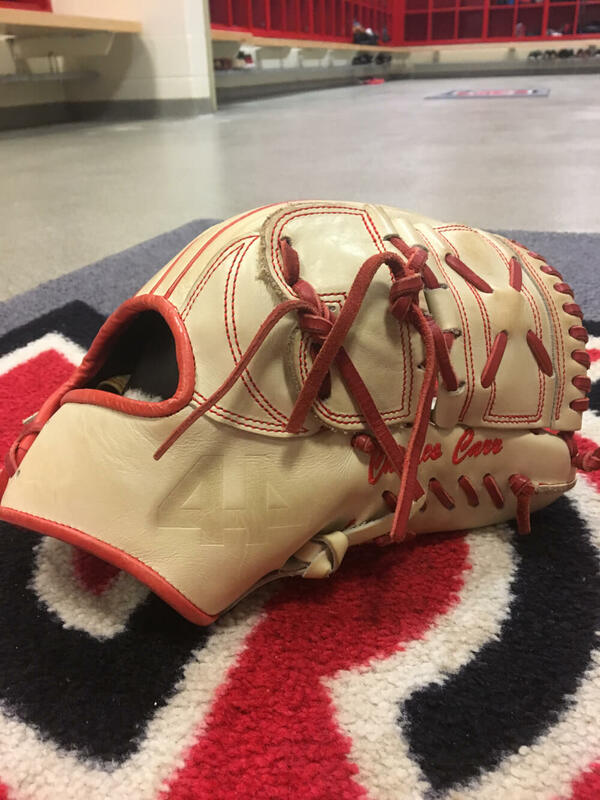 Boasting an endless array of customization options, 44 Pro has built their brand on allowing customers to create a unique piece of leather at an affordable price point. We recently featured 44 Pro in our 2018 Glove Report and our Ballin’ on a Budget list. Ultimately, though, a glove needs to catch the ball, no matter what it looks like. As a current college player, I’ve used the glove for over a year now. I’d like to give you a detailed look at how a 44 Pro custom glove performs. Based out of San Diego, 44 Pro has been making gloves since 2011. They have a growing list of clientele, including new Angels’ first baseman Justin Bour, along with a crop of young pitchers across the league. Customers can pick from the Signature Series starting at $185, which features Japanese Tanned Kip leather (the same type used in a Rawlings Pro Preferred), and the $149 C2 series, made from Mid-Grade Steer hide. In addition to standard 1st base and catcher’s models, they offer 5 different fielding models: the medium-pocket Pro 44, Crown Tip (their version of wingtip), the Japanese-inspired, shallow-pocket JP11, the deep-pocket 574, and the closed-back CB44. Out of all the models, the Pro 44 series offers the most extensive list of custom features, including mesh and inlay options, as well as single and dual welting. Signature Series gloves also feature a sheepskin liner and a faux fur-wrist back. The model I use is an 11.75″ Signature Series Pro 44 2-Piece pattern, with custom features including a single-piece thumb and gilled laces. 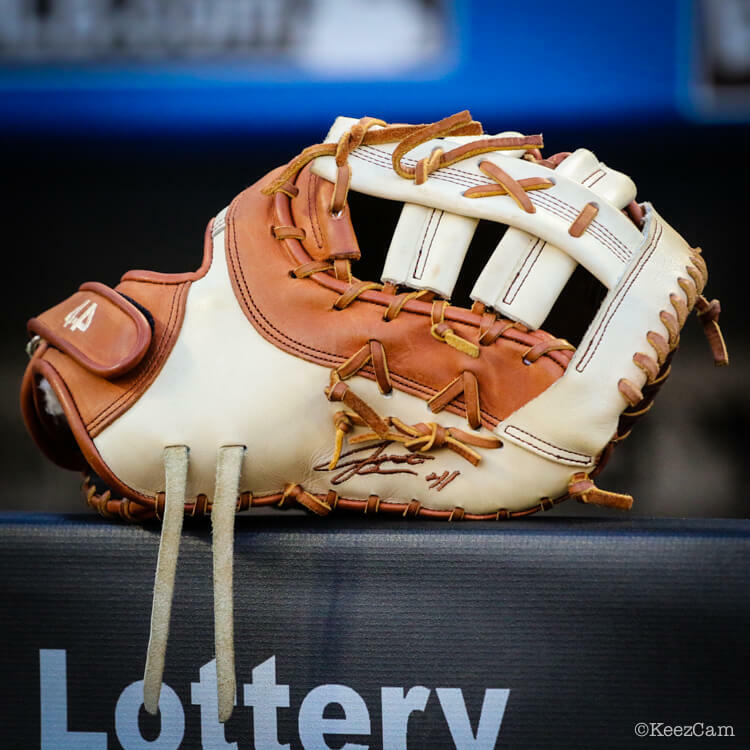 Fresh out of the box, the leather quality on the glove stood out, and after a year-and-a-half of use, it’s held up comparable to both Rawlings and Wilson. Keep in mind, I have used the glove as a pitcher and also take good care of it. The condition of the glove reflects that. The Kip leather has a soft, buttery feel that performs beautifully, and is both light and durable. 44 advertises their laces as “USA Tanned,” and the quality also really stands out. Out of the box the laces were tied relatively loose, and after some moderate tightening, I have not had to adjust them once. 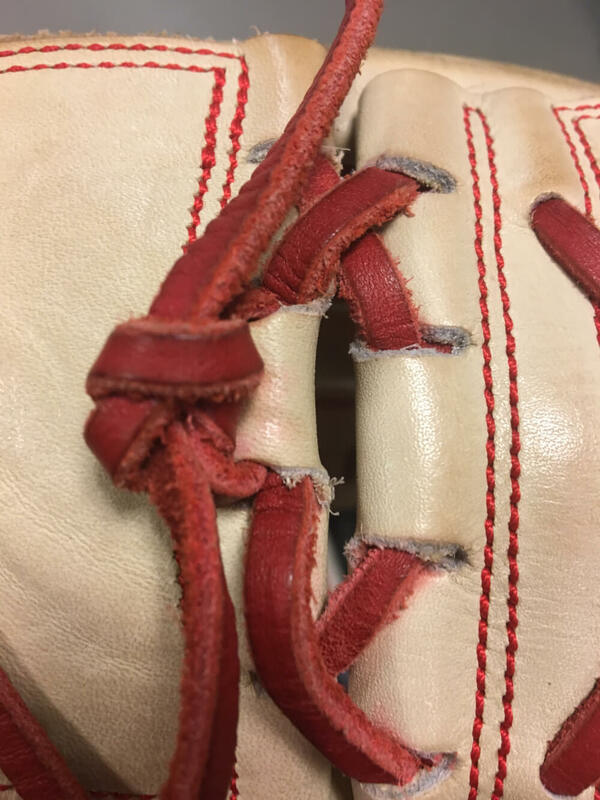 The laces themselves are probably the strongest quality of the glove. 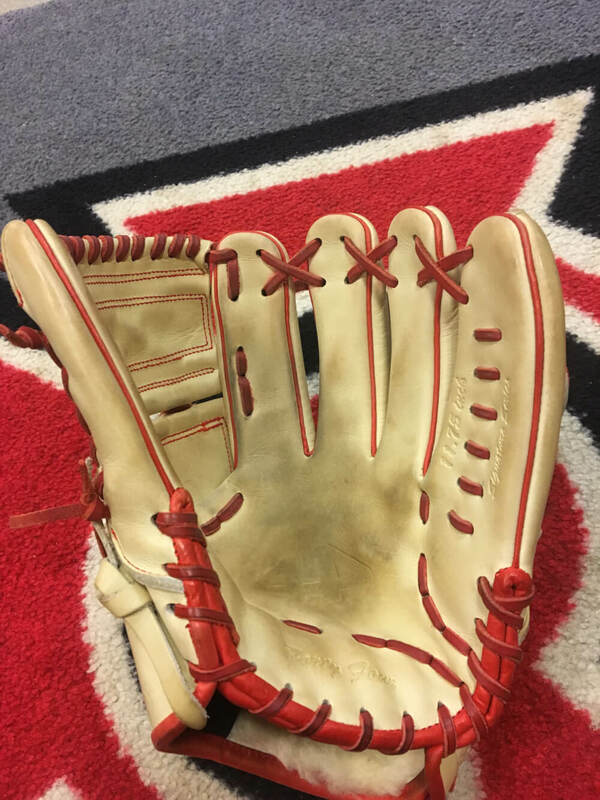 The combination of this and the high-grade of leather means you can be extremely confident in the glove you’re bringing out on to the field. 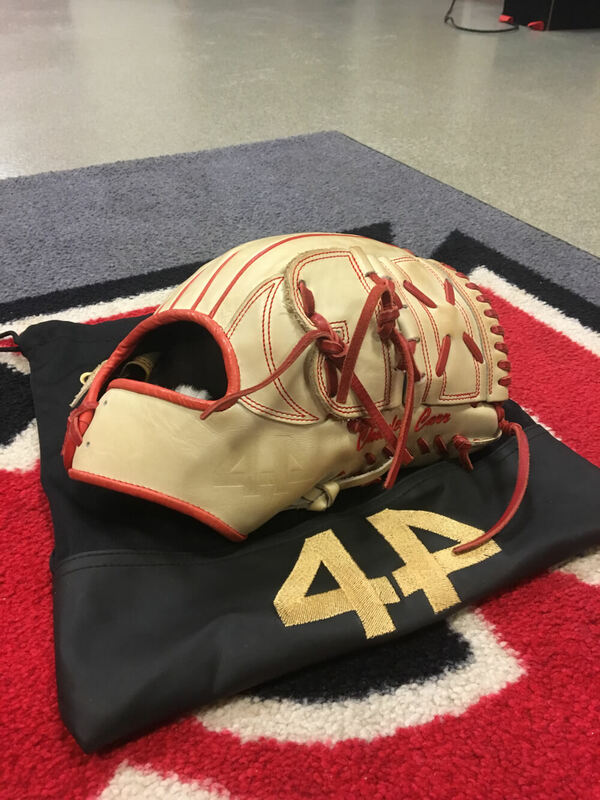 Overall, the Pro 44 is a versatile pattern that can and should be used across the diamond, at your preferred size. The pocket was wide enough to hide and adjust pitch grips, optimal for making quick transfers while still being able to snag hotshots. The glove also broke-in ridiculously easy. 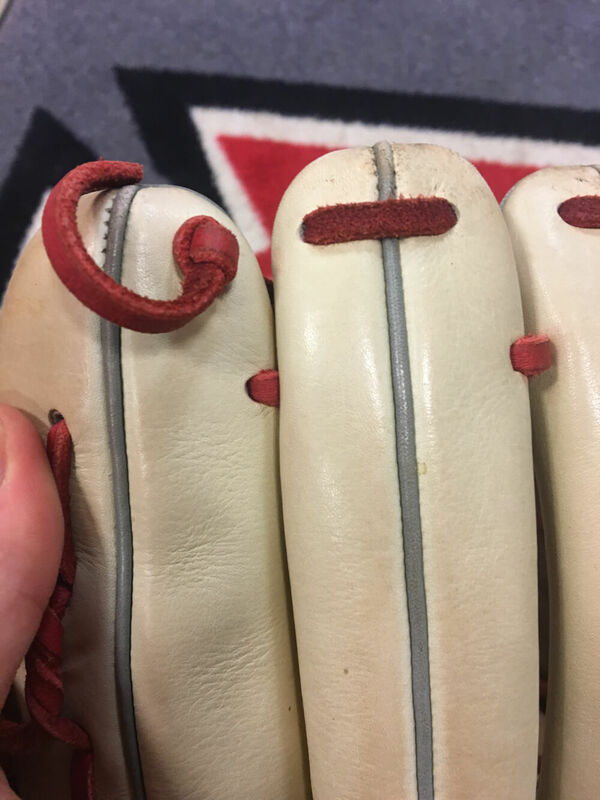 After some forming and playing catch, the glove felt game-ready within a couple of weeks, and it has held its form without much maintenance. 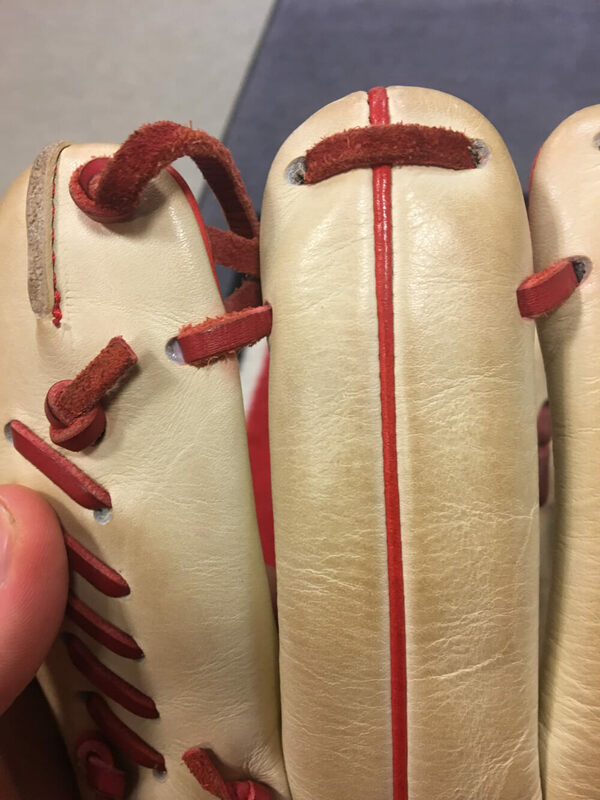 However, there are some minor craftsmanship flaws, though these appear to be more cosmetic and don’t seriously affect the performance of the glove. In several spots, the lace-holes do not line up perfectly; this creates an uneven look. This was seen most prominently on the web. This also carries over to the holes on the fingers. With major companies able to get these details correct, it is a little annoying that these cosmetic details are not perfect. However, in the last year, 44 Pro moved production from China to the Philippines, where Rawlings produces most of its gloves. Below is a model made after that switch. In these newer gloves, it appears many of the production errors have been fixed. Given these small imperfections, the craftsmanship is still dependable and the glove is a durable and dependable performer. Without a doubt, 44 Pro makes a quality, dependable custom glove that stands out on the field. The leather is superb and the overall craftsmanship is solid, save for a few cosmetic errors. 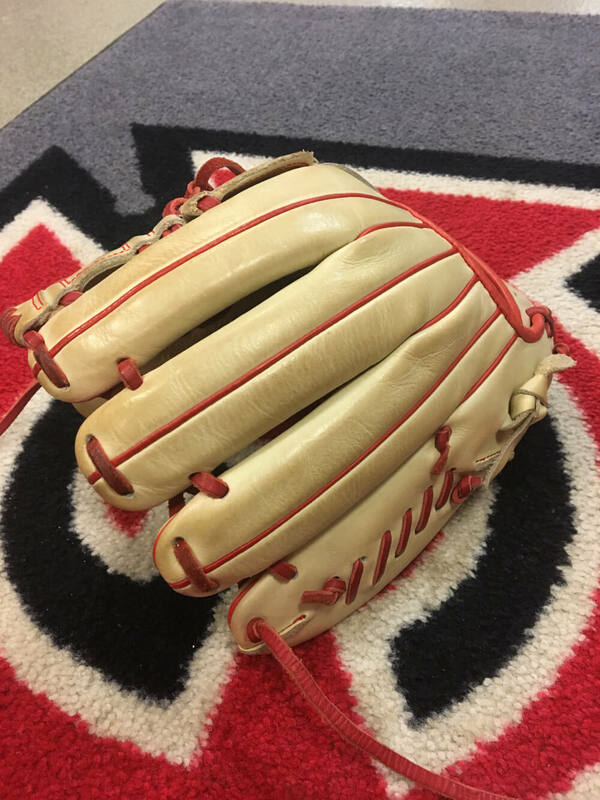 Not everyone is lucky enough to be at a DI program or have the budget for a custom Rawlings or Wilson, but at $185, 44 Pro is one of the best values on the market and gives you the canvas to create the custom leather piece you’ve always wanted. They are also very receptive to special requests, including custom logos. WPW rule #1 states that if you look good, you play good. If you’re not able to drop $260 on a stock Heart of the Hide or A2000, but you still want to live that custom life, you might want to give 44 Pro a second look. We especially recommend it for pitchers. Customize your own glove here. You can also take a look at their custom protective gear, worn by 2018 NL Rookie of the Year Ronald Acuña Jr.